Music is back in the Valley. 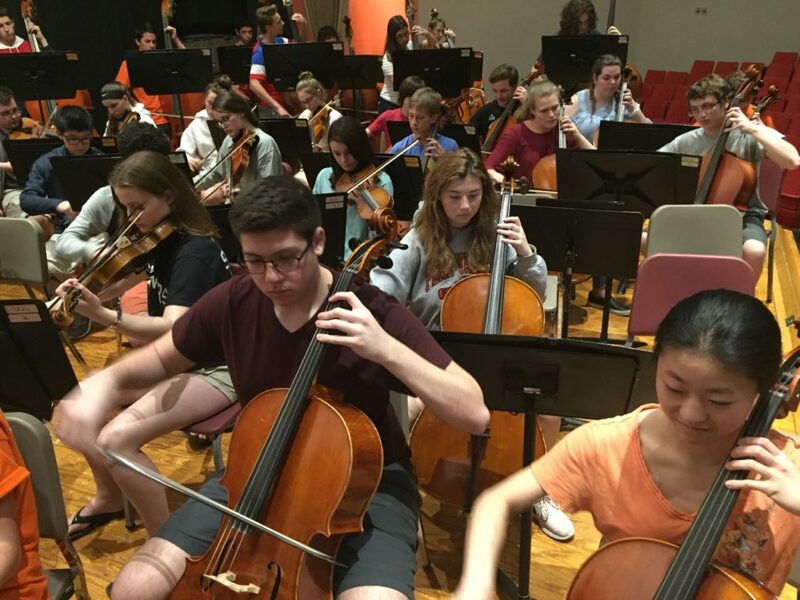 The Perkiomen Valley High School Orchestra’s annual spring concert was on May 9, 2018. The concert included performances from the string orchestra, symphony orchestra, and select strings, all led by Mr. Suloman, the orchestra teacher here at PV. The opening piece was a Cello Concerto by Elgar, featuring a solo from PV cellist Kathleen Wang. This first performance came from the symphony orchestra, which is a combination of both orchestra and band students. After the Cello Concerto, the symphony played “Duke Ellington!”, a swing medley, with a much more upbeat tempo. When the symphony had finished, select strings took the stage. Select strings is a much more exclusive group, as it is audition-based and accepts only 30-40 of the 102 students in the orchestra. They first performed “Conzert für ein Horn en Orchester”, featuring Shayna Lord on the french horn. The select strings then played a piece titled “Girl with the Flaxen Hair”. The piece consisted of only thirty seven measures, but was loved by many of the audience members. Finally, all 102 students took the stage to perform what they had rehearsed in class every day. The string orchestra began with Asturias, a fast-moving piece. Then, they switched gears completely and played The Turtle Dove, a slow piece telling the story of two people in love, which ultimately ended tragically. After that, the orchestra performed an Irish tune, featuring the growing viola section. Finally the orchestra played the theme from Schindler’s List, featuring soloist Matt Marsh on the violin, and Symphony #25, also known as “Little G”, a classic symphony written by Mozart. Overall, the concert ran smoothly and the department received praise for another successful string concert.